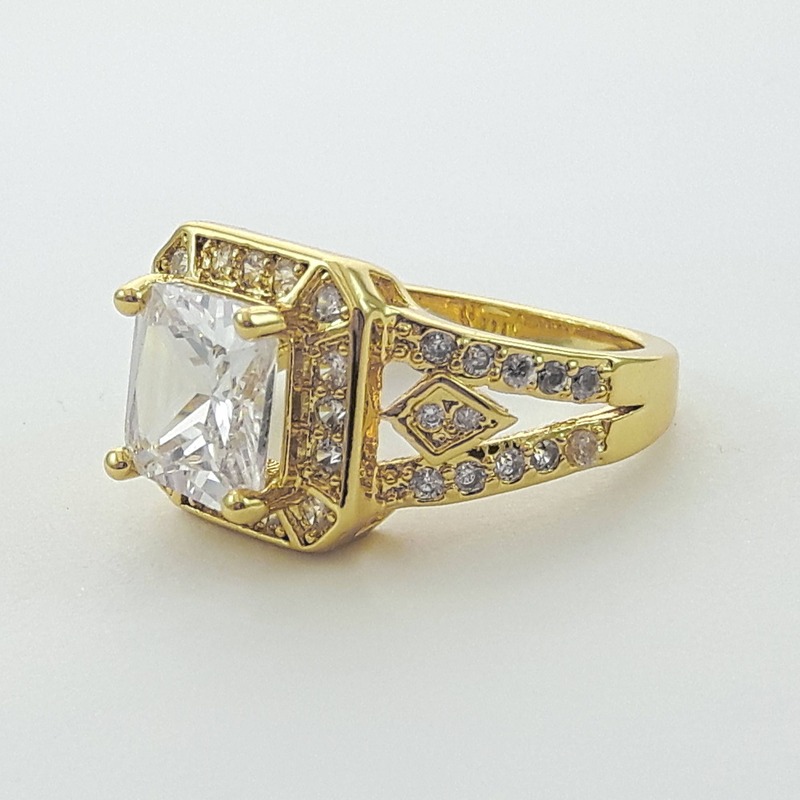 18K White Gold Plated Art Deco Ring with Fine Crystals. 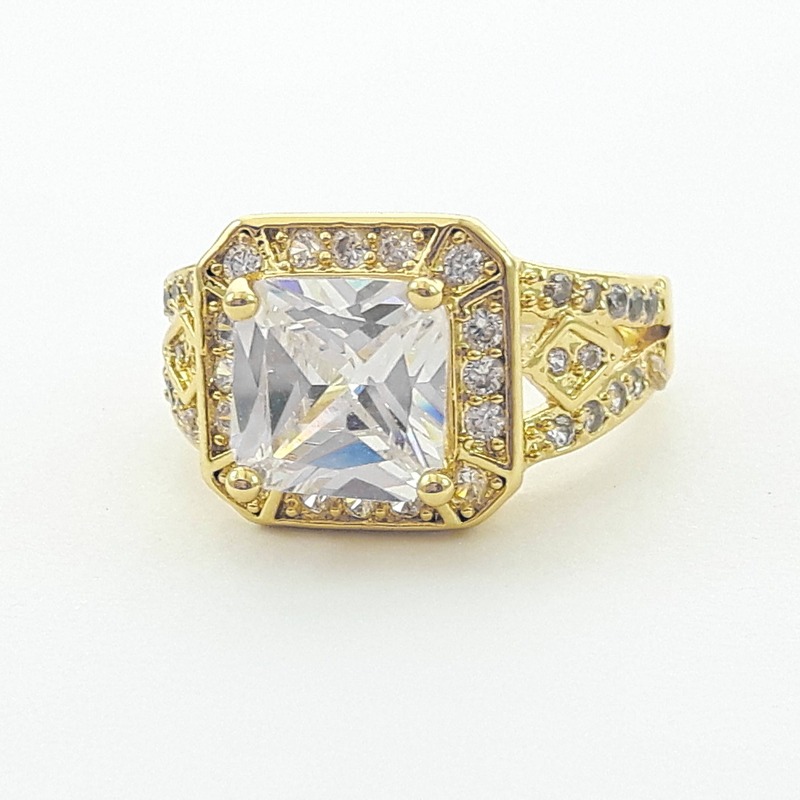 Luxury Cushion Cut feature stone surrounded by pave set stones. Mold replica made from a 1920s ring to make this incredible reproduction. 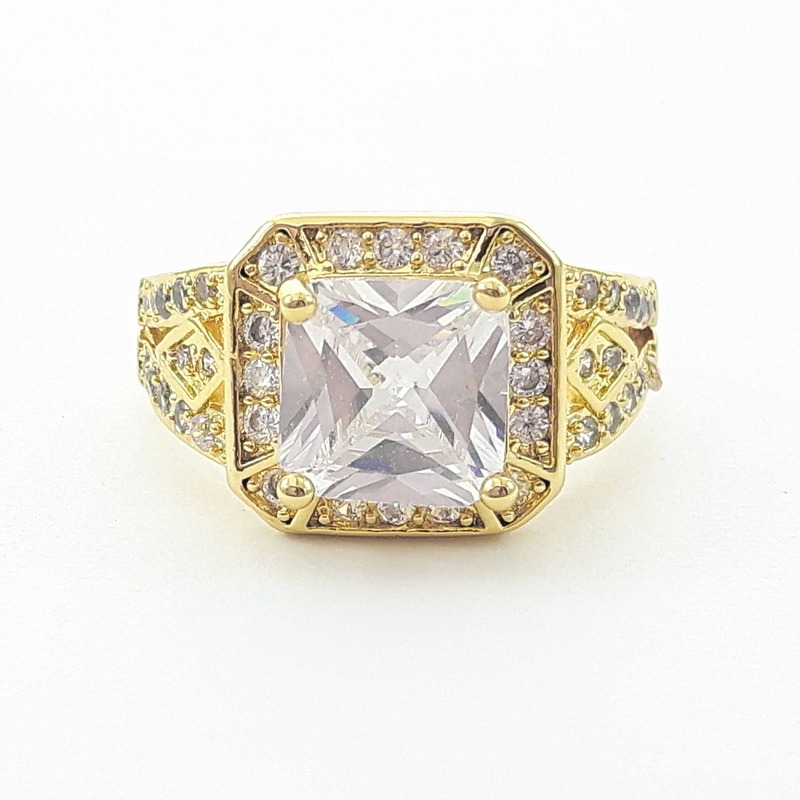 Material: 18K Yellow Gold Plated Brass with Crystals.